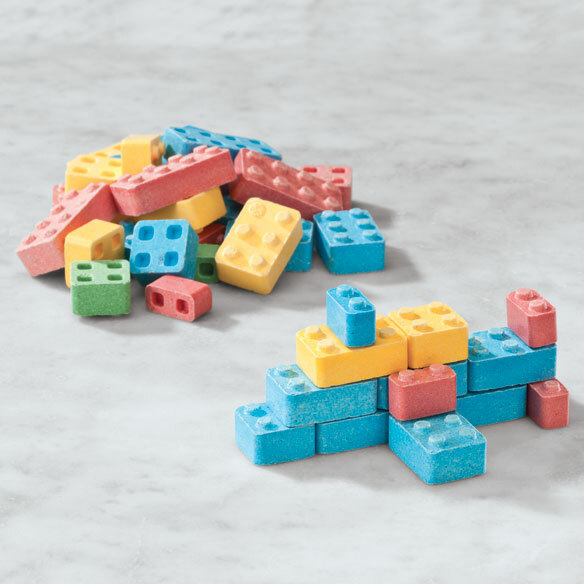 Make your inner child happy with these fun and playful candies. These delicious pressed powder candies are great for decorations, gifts, and themed parties. Their shape and pastel colors are real attention getters. 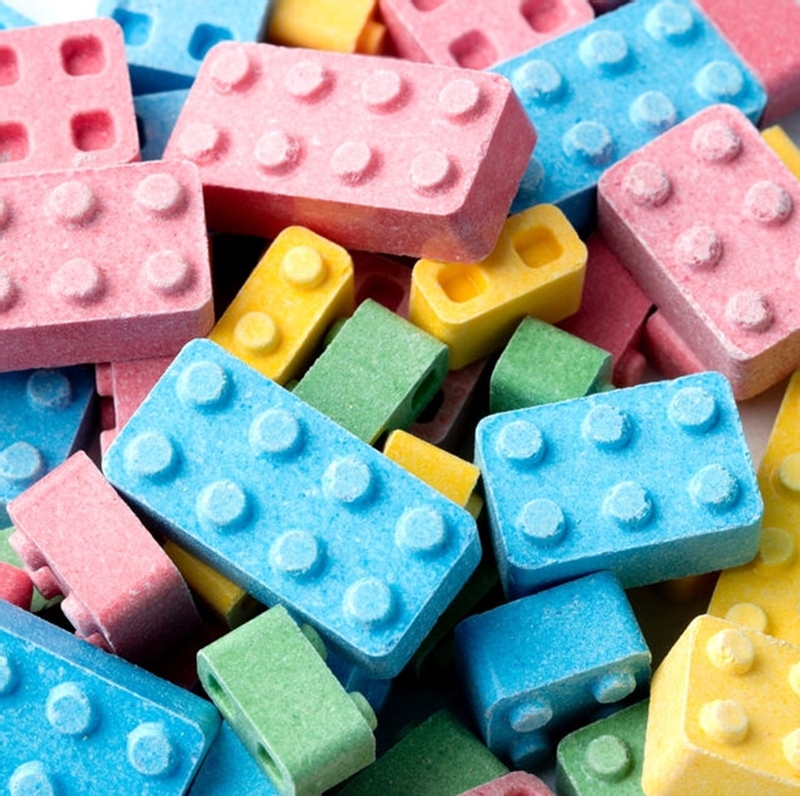 They are shaped and detailed to resemble real toy blocks, except these are edible! This mix includes Pineapple (White), Banana (Yellow), Orange (Orange), Cherry (Red), Raspberry (Blue), Lime (Green), and Grape (Purple). To vend they will need to be put empty capsules. We recommend the 2" size empty capsules. .Need a machine to vend these candies? Be sure to see our full line of candy vending machines. Made by Concord. To vend, these candies need to be in capsules and typically vend for 50 cents in commercial vending machines. Candy is best stored in a cool, dry, low humidity location. Their shelf life can be up to 18 months if not exposed to extreme hot or cold temperatures.